Before I delve into the details of all the food we ate while on vacay, I have an announcement of sorts. Here it is…I am now open to trying some seafood. I promise I’ll get into my decision in a future post. Now that I put that out there, we’ll be able to avoid any confusion a little later in this post. 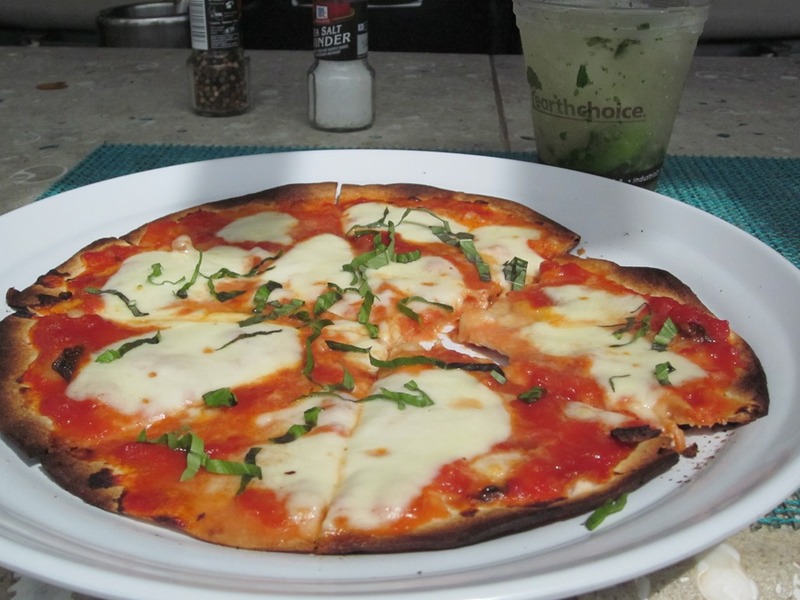 A few notes about dining in Turks and Caicos. One, seafood is the obvious specialty, so vegetarians be prepared to speak up about your preferences. Two, dining out is expensive. Like really expensive. Our cheapest meal was $50 while our most expensive was $150. Three, while lots of great restaurants are located on the beach, there are quite a few wonderful places a little more inland. Be sure to venture out! Hemingway’s is a casual beachfront restaurant that serves Caribbean style food. It’s open for breakfast, lunch, and dinner. We enjoyed a delicious dinner as well as our last lunch here. The service is good, although not the best we experienced, but good. When we went for dinner, Vishnu ordered the Mahi Mahi and loved it. He raved about it the entire trip. 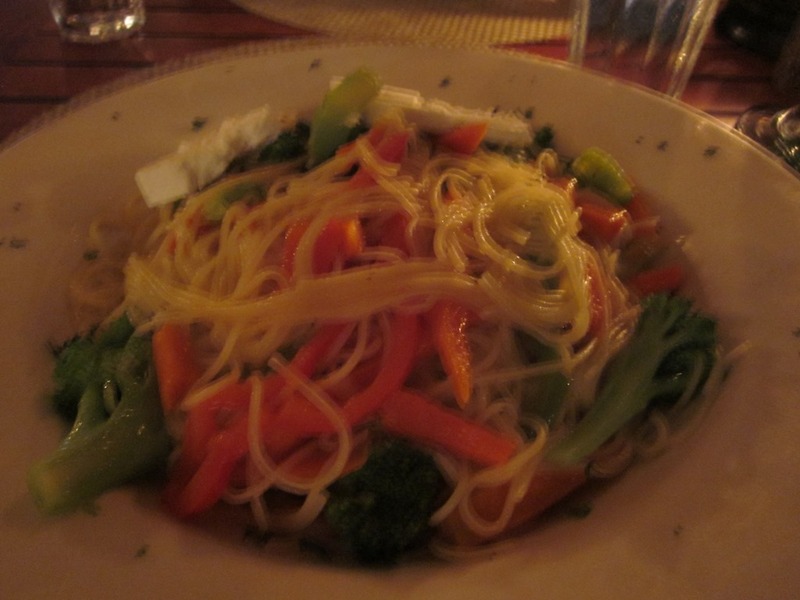 I ordered the Angel Hair Primavera with a side of goat cheese. It was also very good. The pasta and veggies were cooked perfectly and tossed in a light buttery sauce. For lunch, Vishnu ordered a jerk chicken wrap, and I ordered a goat cheese crostini salad. Both dishes were tasty – good portion sizes and flavorful. 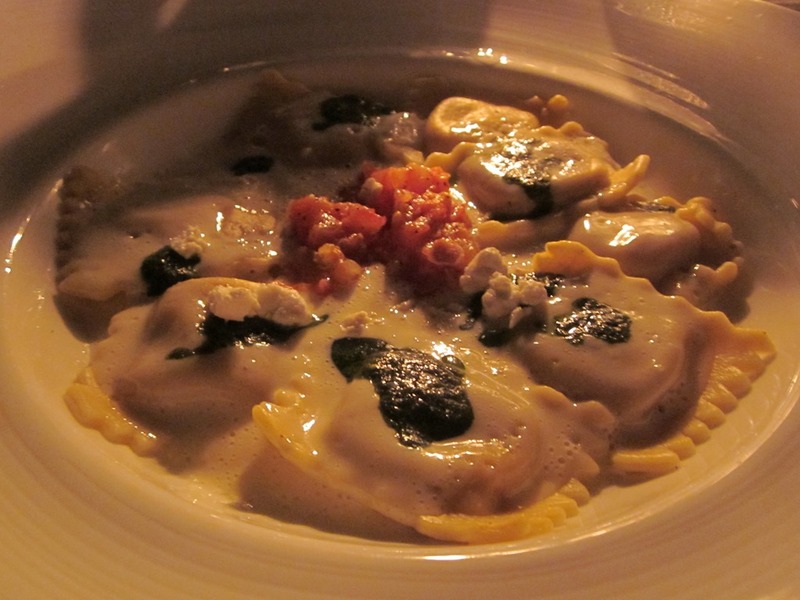 Bella Luna is one of those hidden gems that’s not on the water. The décor made it feel like we were enjoying our dinner in a quaint restaurant in Italy. 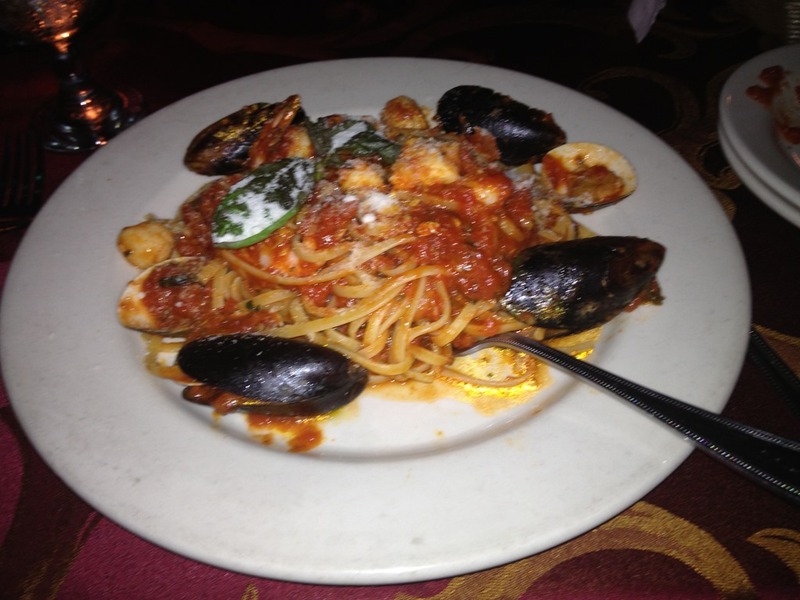 Vishnu ordered the Linguini Tuttomare (linguini and seafood tossed in a spicy marinara sauce). He thought the dish was ok and felt that the sauce took away from the seafood. 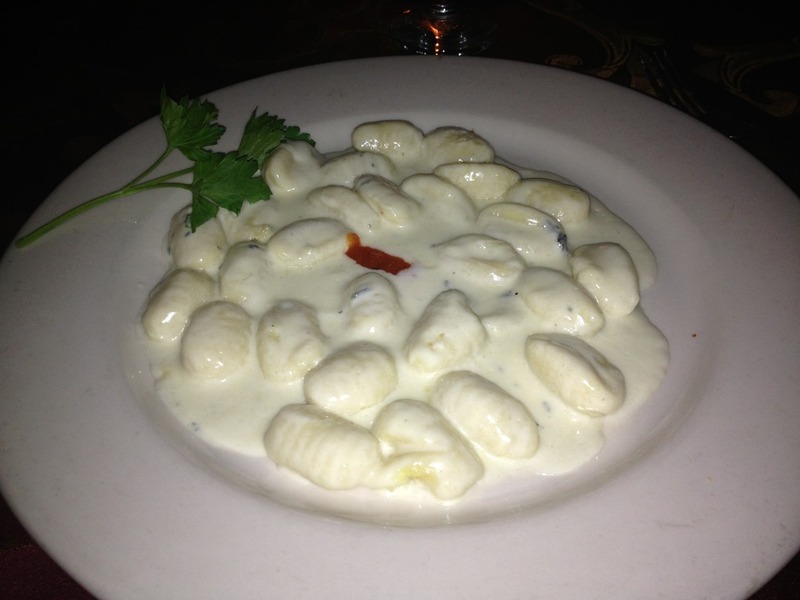 I ordered the Gnocchi del Fattore (potato dumplings in a Gorgonzola cheese cream sauce) and fell in love. This dish was incredible – the gnocchi was pillowy and light while the sauce was rich and slightly nutty. Even though we were both stuffed, we couldn’t pass up dessert. Everything looked so good, but when our waiter recommended the banana caramel crème, we knew that’s what we had to have. Y’all. This was the mother of all banana desserts – not only was it huge, but it also had four different layers of goodness piled on top of one another. 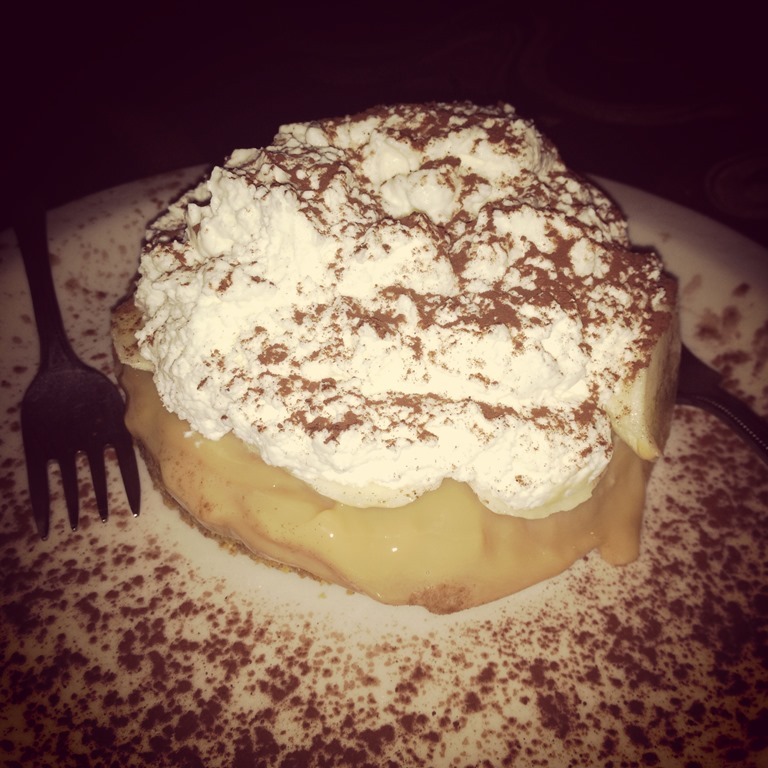 A thick graham cracker crust, a sweet caramel crème, sliced bananas, and fresh whipped cream. So good! Unfortunately, Lemon Café was our least favorite place we tried. I had high hopes for this beautifully decorated Mediterranean and Moroccan fusion restaurant, but both Vishnu and I felt that our food was overly spiced. 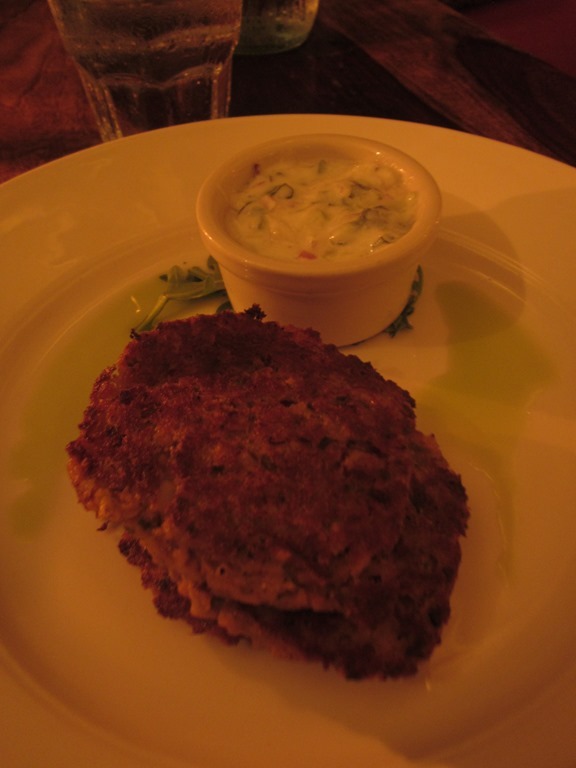 Vishnu ordered the lamb burger with hummus and cucumber mint yogurt and a side of roasted potatoes. His favorite part was the potatoes. 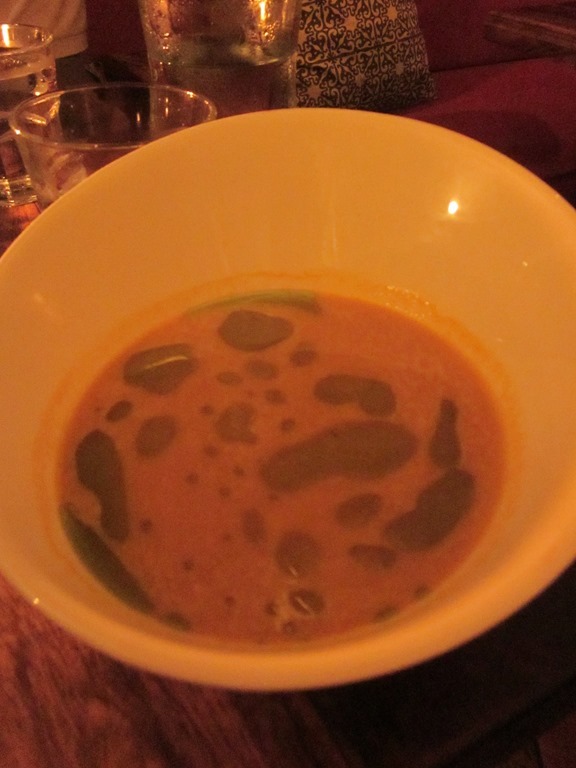 I ordered a pumpkin and carrot soup and vegetable patties (I can’t remember the exact name of the dish or what they were made from), but I found both items to be so-so. The best part of our meal was getting to watch the chef spinning two balls of far around his body. So cool! 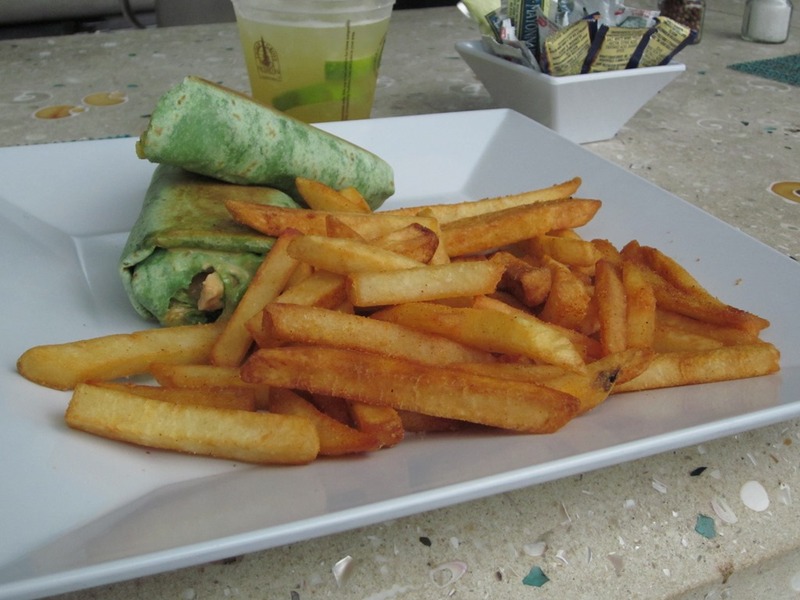 Mango Reef is a another oceanfront restaurant that serves International cuisine with a touch of Caribbean flair. 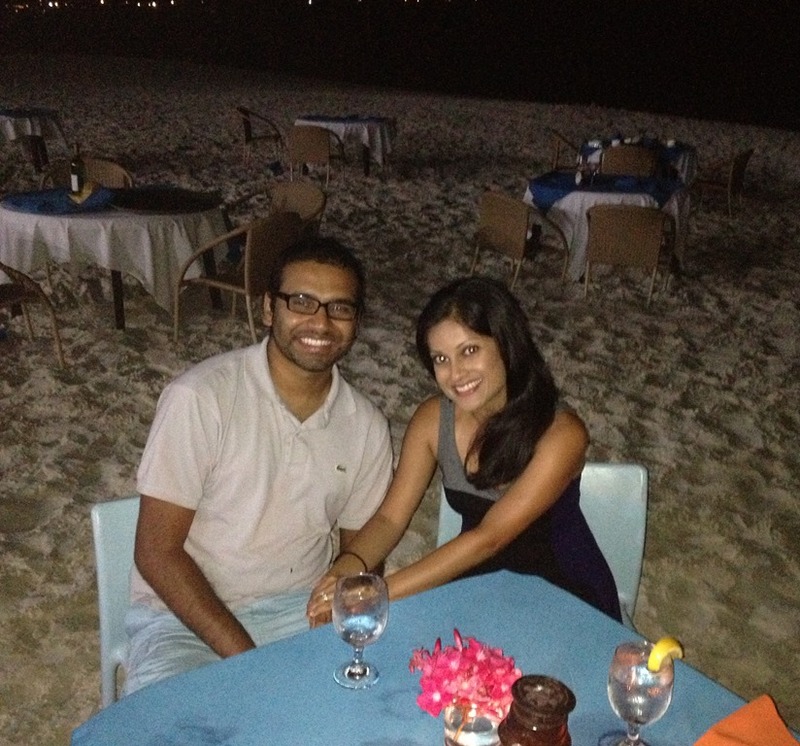 We were able to experience a barefoot dinner with a table set up on the beach, and it was so romantic! The service here is great. The staff is very accommodating and friendly. Vishnu ordered a seafood curry and liked it. Again, he felt that the sauce took away from the seafood. I wasn’t too hungry that night, so I ordered the mushroom risotto appetizer and was not disappointed. The truffle oil took this dish to a whole new level! 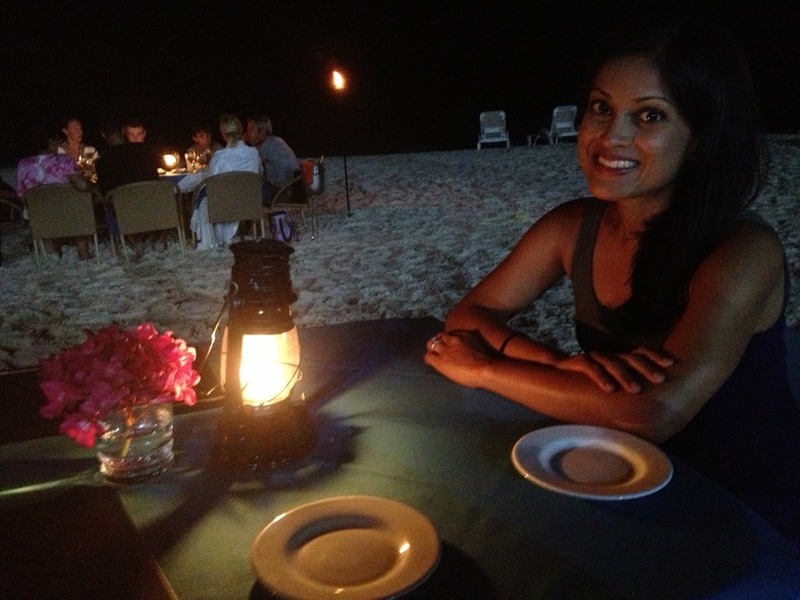 This was my favorite dinner by far – getting to eat ON the beach was so much fun. No pictures of our food since the only lighting available was candlelight, but here are a few of us! Parallel 23 is located at the Regent Palms (where we stayed), and is a fantastic restaurant….a T&C must try in my opinion. I should mention that it was also our most expensive meal but worth every dollar. From the table setting to our awesome server to the delicious International food, everything was perfect. 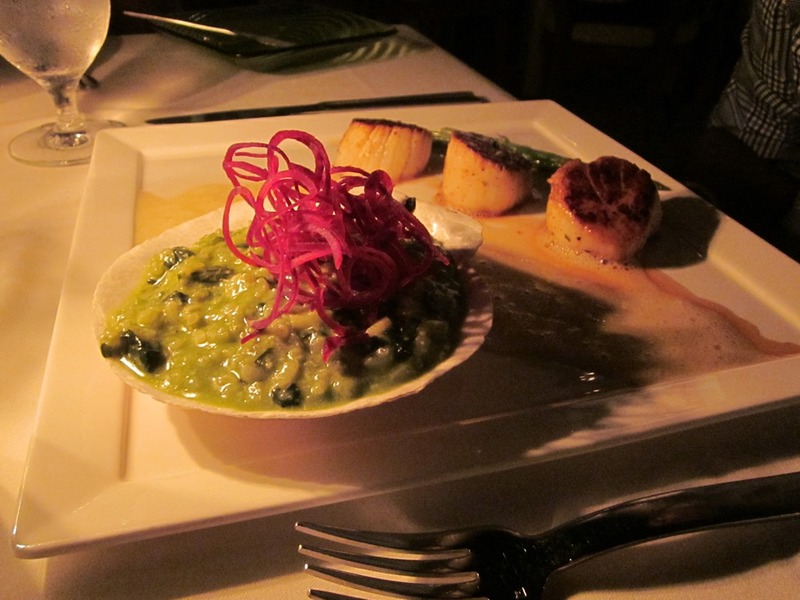 Vishnu ordered the seared scallops, which came with the BEST truffled spinach risotto in the world. I think I ate over half of that side. It was creamy, rich, and indulgent. I still talk about it to this day. I ordered a butternut squash pesto ravioli that was also very good. 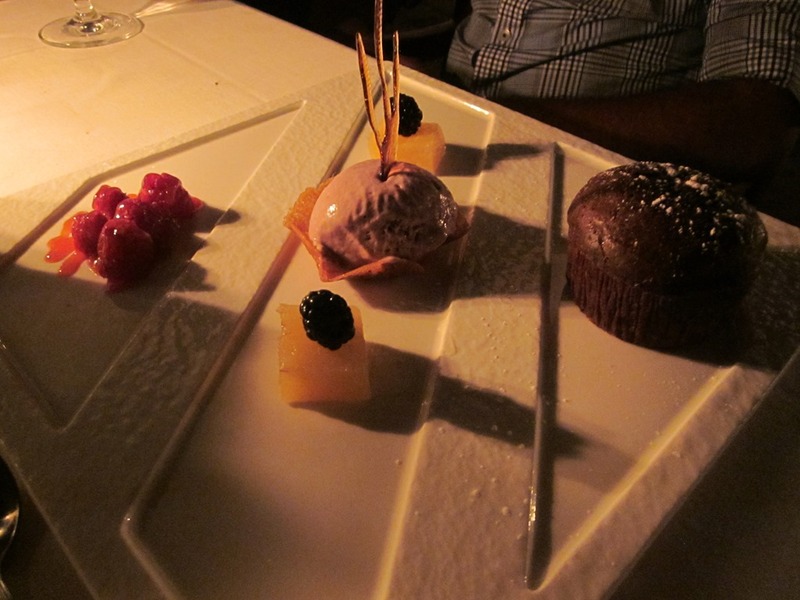 And for dessert we ordered the chocolate lava cake with red wine ice cream. I was skeptical at first, but the ice cream and chocolate paired so well together. Exactly how you would want a meal like this to end! You could really taste the freshness in each and every bite. Incredible all around! The Plunge is a pool side bar and restaurant also located at the Regent Palms. Vishnu and I ate lunch here twice, and enjoyed our experience. I don’t think you can go wrong with the menu they have put together. Everything is very American and simple. Exactly what you would want in the middle of the day. 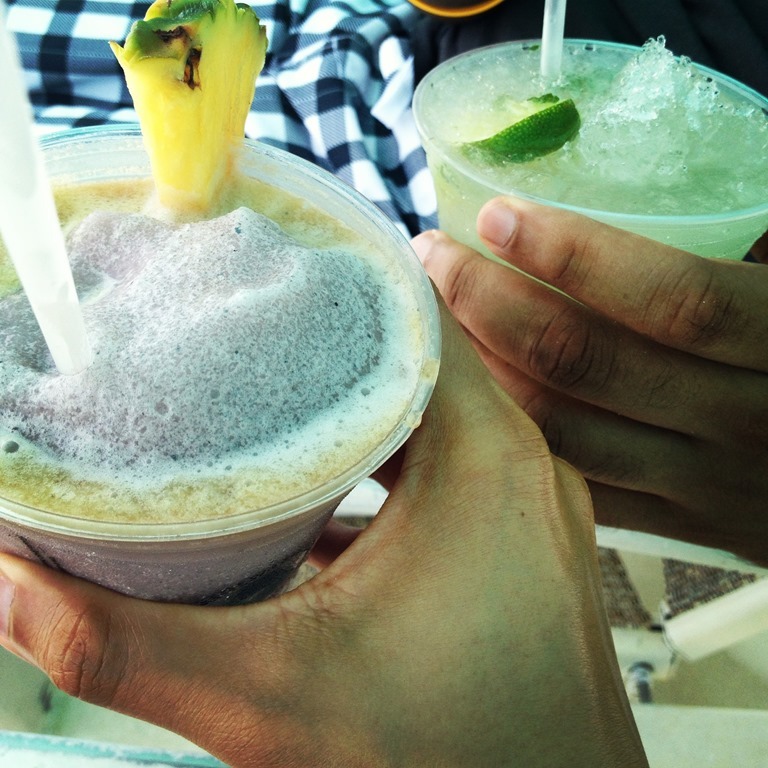 And the drinks are awesome…pricey but awesome. I highly recommend the mojito – it’s excellent! Somewhere Café is another MUST TRY restaurant. It’s actually one of the most talked about places on the island – everyone recommended it! And I’m so glad we were able to try it not once but twice! The service is awesome, the views are incredible (no matter where you’re seated), and the food is authentic and fresh. Vishnu ordered the pulled pork tacos the first time around and the first tacos the second time. 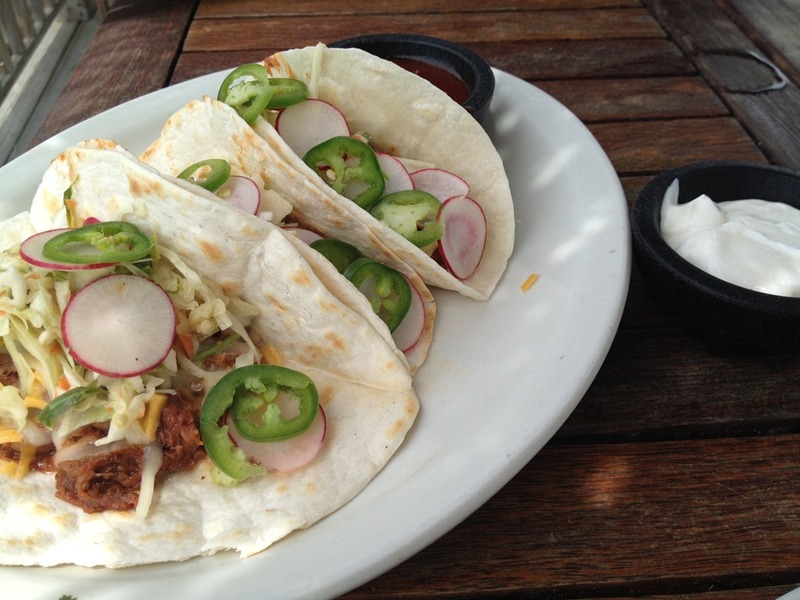 He loved both dishes but vouches for the pulled pork tacos. Again, he raved about the tenderness of the meat and the sauce that was used. 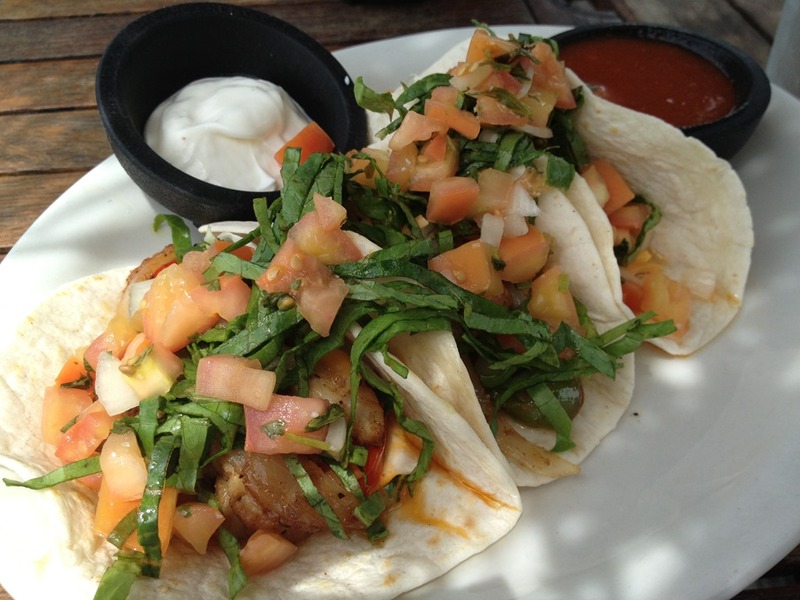 I can personally vouch for the fish tacos because I ordered those the first time around (!!!) and had one of Vishnu’s the second time, along with some guac. This was my first solo seafood meal (meaning I ordered and ate everything on my own), and I absolutely loved every bite. The fish was grilled and flaky, the tortillas were soft, and the veggies were crisp…perfection on a plate. Like I said, we liked this place so much that we made the trek over (a 20 minute walk along the beach) not once but twice during our trip. So that is it for my Turks and Caicos posts. I think I covered it all! If you have any questions, feel free to email me. I think it’s evident from all my posts, but we really enjoyed our time on the island. In fact, we’re already talking about what we would do the next time we visit! Everything looks so great! I really want to go to T&C now!! Everything looks so amazing, especially your meal at Parallel. WoW! Love Risotto. I have 3 of these restaurants on my list, but I’m gonna look into Parallel and Mango Reef as well. I read about Somwhere too… I just hope I’m able to eat lunch with the breakfast food… we may do something light on the lunch to fully enjoy the dinner. Let’s see. You look so pretty on the beach! Glad you guys had a good time. Parellel 23 is must, N! You’ll love it! Wow…you ate some amazing meals! I can’t say I ate nearly as well when I went to T & C but that may be because I was in an all-inclusive resort. Soon we learned where to go and where not to go! You look gorgeous, rested, and happy. Great pictures!